But the Red Sox are not alone in their need for starting pitching. The Cardinals have lost ace Adam Wainwright for the year due to an Achilles injury. The Dodgers Brandon McCarthy is out for the year with a torn UCL. Yu Darvish (Tommy John surgery) is out for the season for the Rangers. And the Yankees Masahiro Tanaka could need Tommy John surgery at some point. Despite the growing number of teams in need of starting pitching due to injury, there are “strong indications” that the Phillies consider the Red Sox the best fit for a trading partner according the Daily News report. “We’re waiting with open arms,” one Phillies official told The Boston Globe’s Nick Cafardo. But the Red Sox’ interest may not be as strong as you would think with the weak pitching numbers the starters have put up in the first month of the season as the club hopes to see improvement from the staff as it currently stands. Hamels is currently 1-2 with a 3.19 ERA this season. 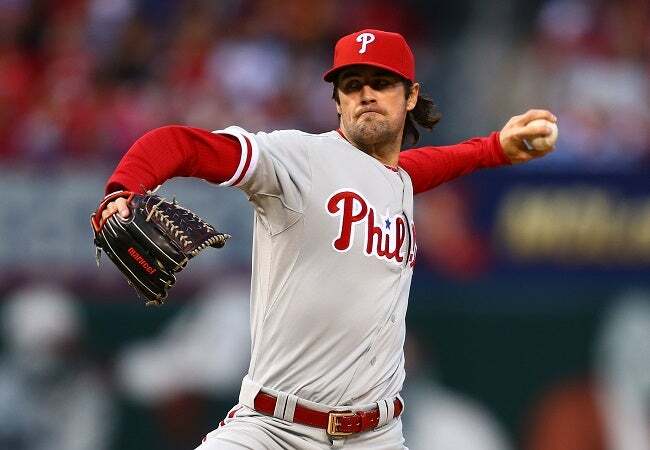 In his last start on Monday, Hamels struck out nine Cardinals in seven innings as Philadelphia beat St. Louis 4-1.